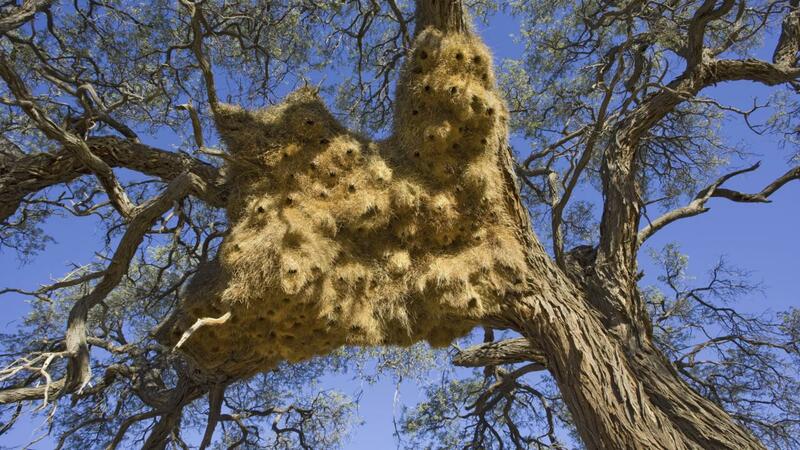 Woodstock is not the only bird to live in a nest complex. 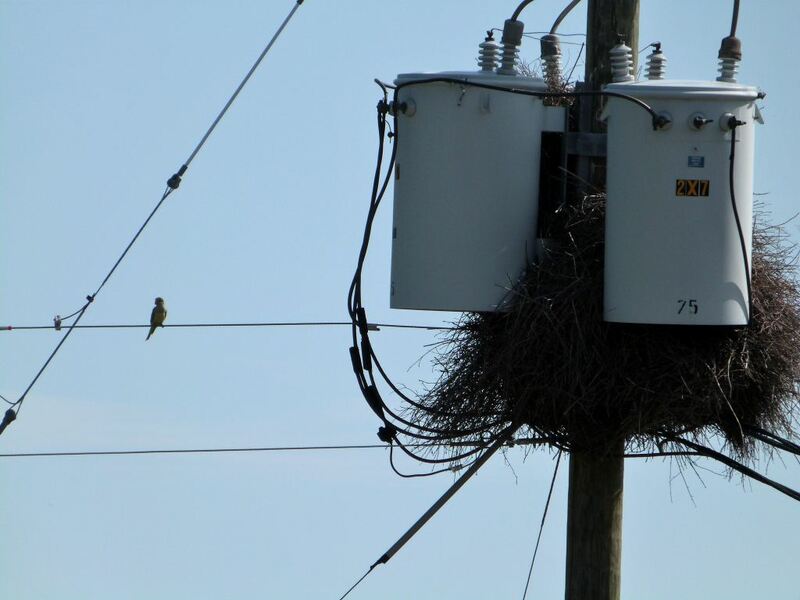 Birds in this area, central Florida, have at least one bird, the Monk Parakeet, or Quaker Parakeet that makes an “apartment” nest. 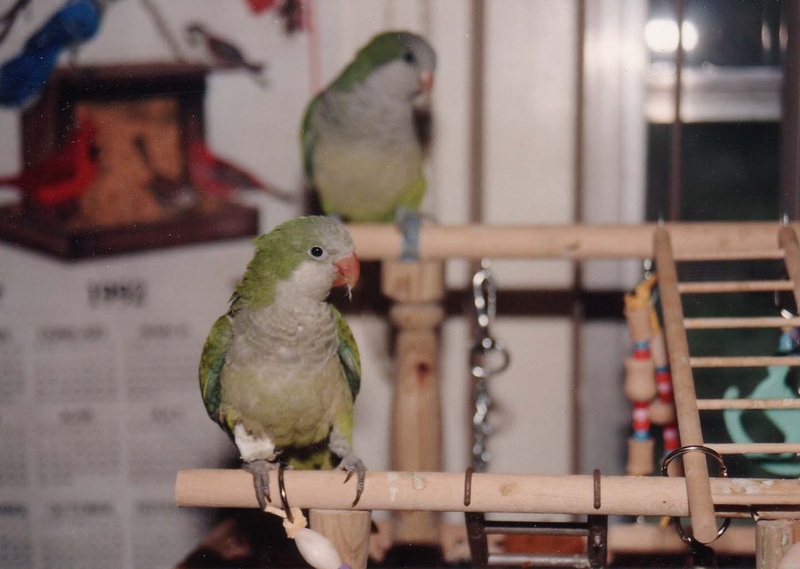 We used to own two Monk Parakeets, so I was familiar with them when we moved here. In South Florida, where we lived in the past, they were wild there also. In fact, Bandi, our first Monk parakeet had been shot out of the tree next door by teenagers. Some neighbor kids brought her to me and long story short, her wing had to be amputated. So, she never went back to the wild. Hoppy, our second one, had a broken leg, which our vet fixed up. That is the bandage on his leg. Back to the Highrise. 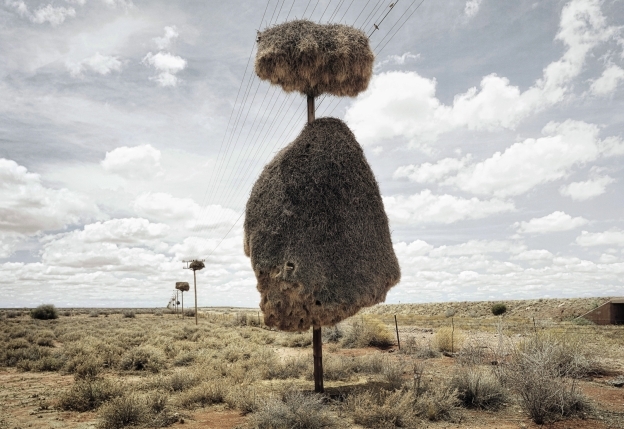 Weaverbirds Nests are Like Huts has a great photo of an elaborate “homestead.” Also, it is a very interesting article about how they make the nest. Then again, maybe Woodstock would like to visit the Montezuma Orpendola and select one of the higher nest apartments. 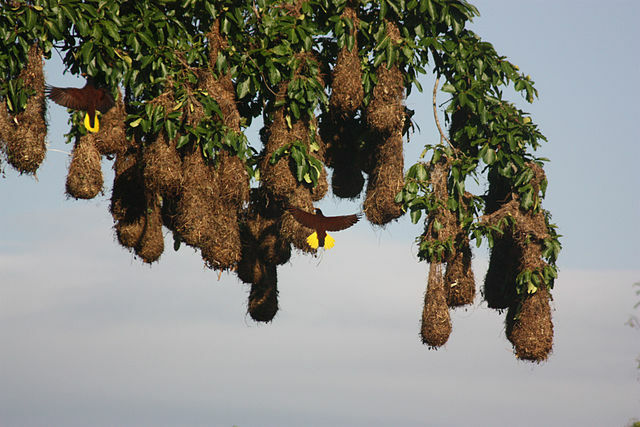 There are many more examples of how the Lord, in His Wisdom, has given the birds the knowledge to build these nest and also, to know that “community” can aid in their protection.